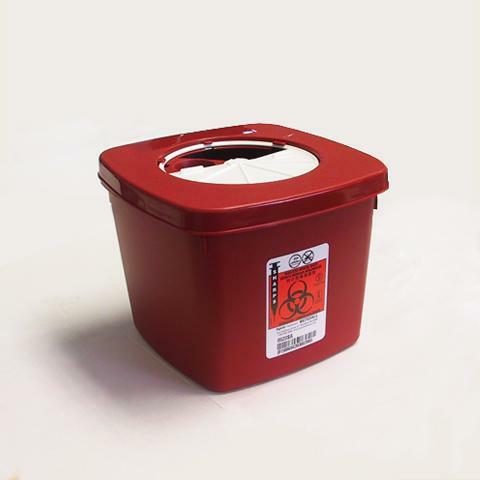 Portable sharps containers are designed to fit into blood drawing trays. Provides point-of-use disposal and features a square base for added stability. Choice of single or dual openings accommodates a variety of sharps. Containers lock for final disposal and safe transport. Adjustable rotor opening or hinged lids accomodate a variety of sharps sizes and provide temporary and permanent closure. 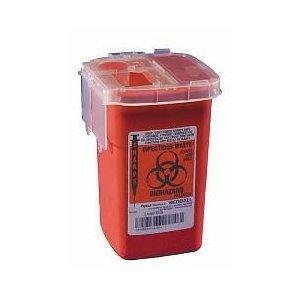 0.5 Gallon Needle Syringe Collection Container. 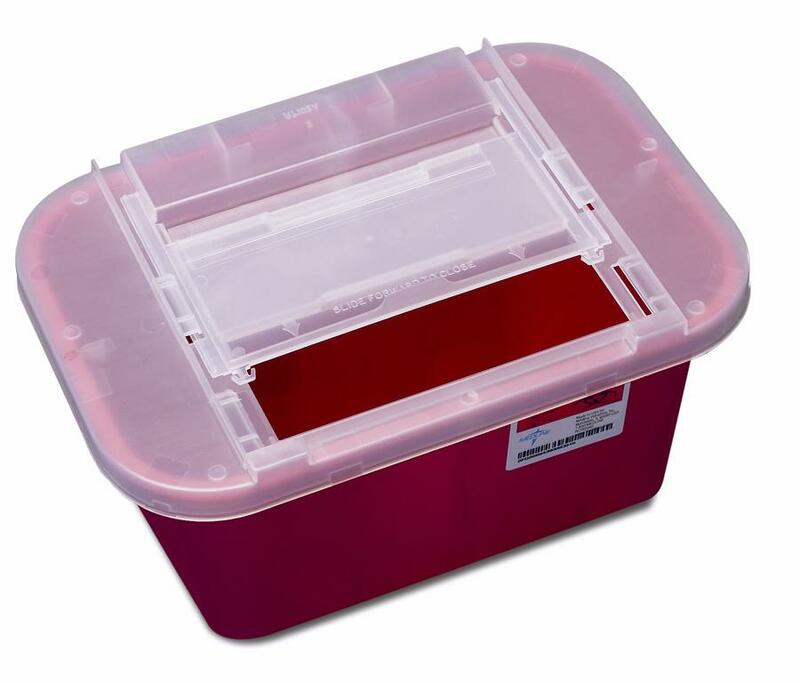 Multipurpose Containers: The non-tortuous lid design accommodates a variety of sizes of sharps. Translucent lid allows staff to identify fill levels quickly, thus saving time. Each container locks for final disposal. Nestable containers save space and reduce shipping costs. Horizontal drop maximizes container volume. 1 Gallon.